Carlo Mollino (1905-73), the son of a prominent engineer of the city of Turin, graduated with honors from the Royal School of Architecture in Turin in 1931. He joined his father's firm in the same year, only to leave to pursue an independent and highly original career in design and architecture seven years later. From the start, both his interests and personality set him apart from his contemporaries. Influenced by the Second Futurism movement and the Surrealist avant-gardes, he was active in an impressive number of fields, including aeronautics, automobile design, art, photography, set design, town planning, furniture, interior decoration and architecture. Highlights from his architectural output include the headquarters of the Societa Ippica Torinese (1935-9) and the Teatro Regio Torinese (1966), both in Turin. Mollino was able to bring together various forms of expression through his profound artistic research. His furniture was based on organic shapes, such as tree branches, animal horns and the human body - the female profile figuring prominently in his design work. These pieces evolved from the appreciation of the shapes of Art Nouveau and the architect Antoni Gaudi, and were more expressive and sculptural than those being produced in Milan at the same time. Most of his furniture designs were site specific one-offs for especially commissioned interiors and were manufactured by the Apelli & Varesio joinery in Turin. This has ensured that these pieces are very rarely available on the market and are highly valued by furniture collectors, as proven by the recent sale at Christie's of one of Mollino's tables for the record price of $3.8 million. Beyond the sculptural aesthetics of his furniture, his designs involved thorough research into materials and technology. He developed a complex construction technique whereby the structure seemed liberated by the weight of the material, as clearly seen in the glass and bentwood Arabesque table (1949), still in production by Zanotta. His famous interiors were richly decorated with fabric, used not only as upholstery but also as spatial device. He aimed to create architecture and interiors that could be manipulated by the user, as with the innovative lighting system for the Miller House (1937), which was mounted on a curving track and could be moved along the ceiling of the house. 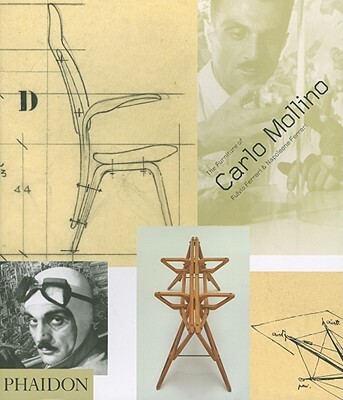 The Furniture of Carlo Mollino presents for the first time Mollino's complete furniture and interior design. Including drawings and archival photographs, it represents the most comprehensive record of this part of Mollino's production. Realized in collaboration with the Museo Casa Mollino and written by the Museum's curators Napoleone Ferrari and Fulvio Ferrari, this monograph emphasizes the contemporary significance of Mollino's groundbreaking oeuvre. Fulvio Ferrari has been studying the work and life of Carlo Mollino since the early 1980s, having organized the first exhibition of his work in 1985 and co-founded the Museo Casa Mollino in Turin in 1999. He also curated 'Italian Design 1951-73' in 1984 in Munich and has published several books on the work of Mollino, the furniture of Gabetti & Isola and the ceramics of Ettore Sottsass, amongst others. Napoleone Ferrari co-founded the Museo Casa Mollino in Turin. He is co-author of two books on Mollino's photography and of Luce, a book on Italian lighting design of the late 1960s.